Today I had originally planned to kick back and laze around a bit - that was until I got this beauty of an eye shadow palette in! 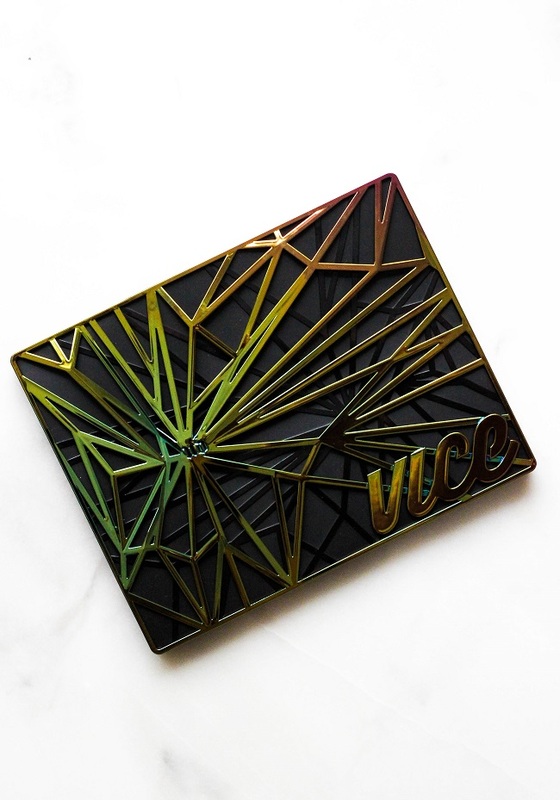 Urban Decay's latest Vice Palette is filled with gorgeous bold and unique eye shadow shades, not like many things in my collection. I guess this is why I was so intrigued with it. I knew I had to try it out immediately! So, I hopped over to my beauty desk and began to experiment with shades. Let me just tell ya, you'll stare at this palette for ten minutes before you decide which colors you want to use. Then, you'll change your mind two or three more times before you start at it! The colors are just so vibrant and beautiful - it's hard to choose! Filled with a variety of 20 shades, you'll find everything from plums to burnt oranges. I'm always a sucker for the olive and green tones so when I saw the shade "Crowbar" I couldn't resist it! I based the rest of the shades off of that and added "Low", "Framed" and "Grip" into the mix! I love how this palette really tests my creativity. It has just the right amount of color without being too wild. It's definitely a beauty! 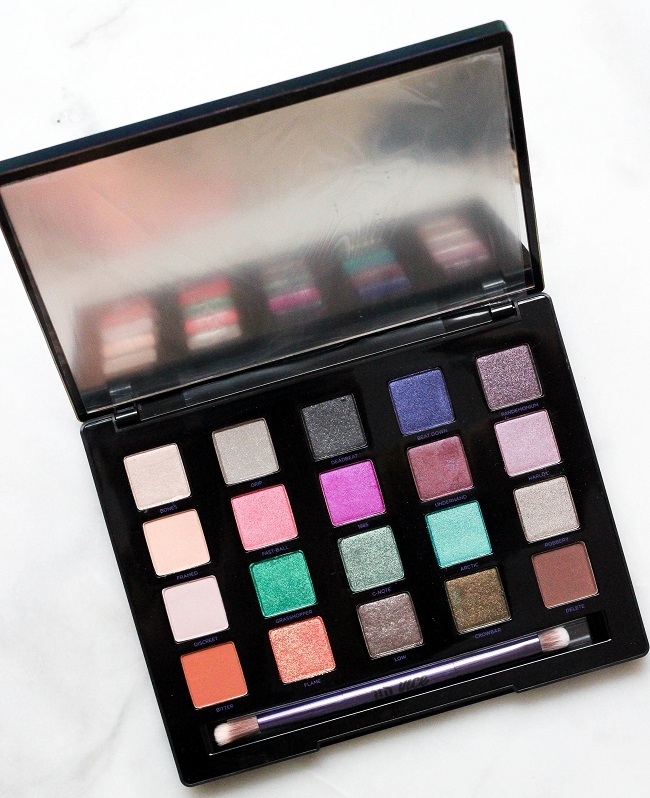 Are you not swooning over this palette?! I'm in love! 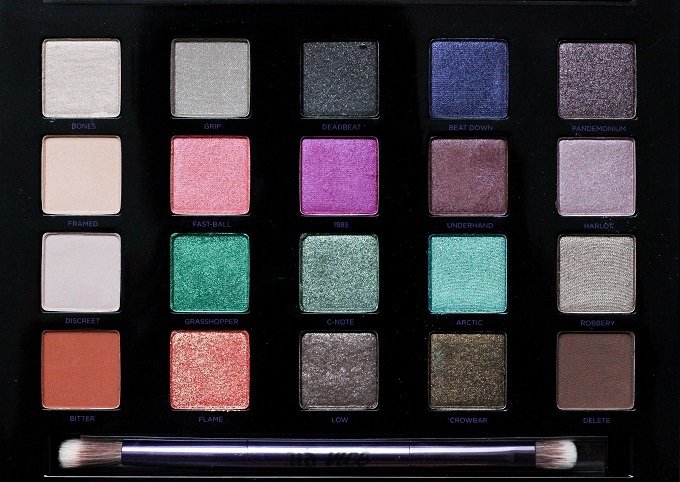 *Urban Decay kindly provided the Vice palette along with the most of the UD products used in this post. I was in no way compensated for my opinion, which always remains my own. Other PR products provided to me are marked with a "*". Oh my goodness, those colors look absolutely gorgeous! I love the look you created as well... very pretty! The colors look so bright but I love how you did such a wearable look! The colors are so stunning but I just don't know if I would wear them enough to warrant the price! You look beautiful as always!